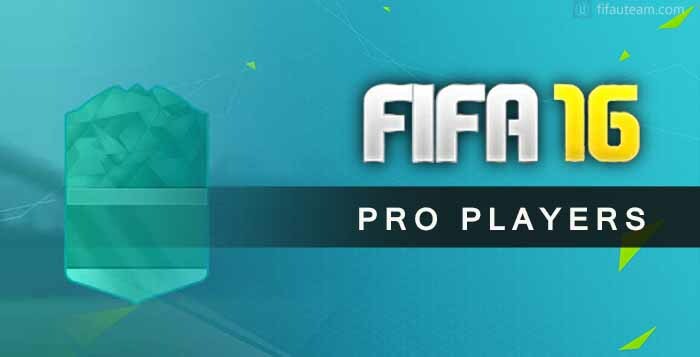 Pro Players are the most unknown cards of FIFA Ultimate Team. These items are assigned by EA Sports to professional football players that play FUT in a bid to make friends and gain exposure. When EA Sports have an existing relationship with a player and knows that he play FUT, they offer his Pro card to him. They also send Pro Players cards to famous players who ask them for it. Each professional player chosen by EA has his own Pro Player card. This cyan card is unique and cannot be sold. That is, it will not be found in packs neither in the transfer market (as it happened in the past). If someone play against one of these cards that’s because he is playing against a real professional football player. To all Pro Players cards were assigned a 95 rating and unrealistically high attributes, that usually are greater than 88.